8th match of 2015 ICC cricket worldcup has been played between United Arab Emirates and Zimbabwe at Saxton Oval, Nelson today. Zimbabwe with good all round performances won the match by 4 wickets with 12 balls remaining. SC Williams (Zimbabwe) declared man of the match for his splendid inning of 76* runs in 65 balls. Earlier, Zimbabwe won the toss and decided to field first and let UAE to set target. UAE putting into bat first, UAE lost openers early on 40 runs but, other top and middle orders batsmen played good cricket and managed to put good score of 285 runs at the end of 50 overs. Shaiman Anwar 67 runs and Khurram Khan 45 runs were top scorers for UAE. Following target of 286 runs, Zimbabwe openers gave superb steady start and play sensible cricket initially. Sikandar Raza made 46 runs and RW Chakabva contributed very useful 35 runs from the top. 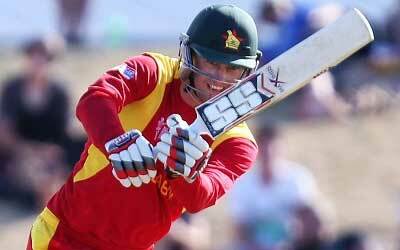 Middle order batsmen BRM Taylor 47 and CR Ervine 42 runs put Zimbabwe on front foot. Rest was done by SC Williams 76* runs and Zimbabwe won the match by 4 wickets with 12 balls remaining to bowl. Thus Zimbabwe earn 1st 2 points in points tally of ICC Worldcup 2015. SC Williams (Zimbabwe) declared man of the match for his splendid inning of 76* runs in 65 balls.